Bitterblue is the third novel from New York Times bestselling author Kristin Cashore, whose previous two young adult fantasies impressed quite a few readers. Like its predecessors, Bitterblue is set in the Graceling Realm. It’s a sequel to Graceling that takes place 8 years later with a different protagonist, and Fire is a companion to both that takes place before Graceling and has both a different location and a different protagonist. While I don’t think it matters if Graceling or Fire is read first, I do think reading these two before Bitterblue will make it a more satisfying book, although it’s not strictly necessary to understand the story. There will be spoilers for Graceling in this review so if you have not yet read that book, you may not want to read on. For 35 years, Monsea suffered under the tyranny of King Leck. Leck had a Grace (special ability) that allowed him to control people, fogging their minds with his words so they believed anything he said. Any lie Leck told became reality, at least to those who were under his spell. He could convince people they had committed wrongs against those they loved or even make them perform actions they would never do without his coercion. Even worse, he could make them truly believe they enjoyed it. Eight years after his death, Leck’s villainy is still vividly remembered by the people he ruled, his former advisers, and his daughter Queen Bitterblue. The horrors they endured are not easily forgotten, and waking up from Leck’s control to truly realize what happened is shocking. For Queen Bitterblue, it means ruling a kingdom that needs to rebuild itself, but ruling mostly seems to mean having her advisers bury her under piles of paperwork or force her to preside over rather trivial court cases. Tired of it all, Bitterblue dons a hood to disguise herself and sneaks out of the castle one night. She wanders into a tavern and discovers people gathering to tell stories of the past. Increasingly intrigued by what she hears, Bitterblue continues to sneak out in the middle of the night and ends up meeting Teddy and Saf, two men who make Bitterblue start wondering just how much she doesn’t know about her own kingdom – and what her advisers are hiding from her and why. Bitterblue makes it her mission to discover what exactly happened in the past and what she can do to help her people. 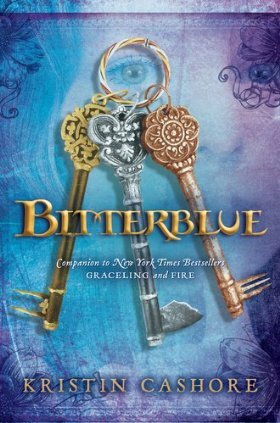 Bitterblue was one of my most anticipated books of this year after reading Fire and Graceling, but I’m sorry to say it wasn’t everything I had hoped. I finished it with very mixed feelings because it is a very maturely written book that handles themes well, and the characterization and some of the dialogue are also wonderful. In many ways, it is better than both Graceling and Fire yet I didn’t love it the way I did Fire or eagerly devour it the way I did Graceling despite its many wonderful qualities. While it does have many strengths, Bitterblue had a major weakness in its plot, which is slow, meandering, and at times, quite dull. One aspect of Bitterblue that I really appreciate is that it deals with the aftermath of eliminating evil from the kingdom. The story did not end with the removal of the great evil that plagued the land and ignore the long road to recovery after life dealing with a reign of terror as so many fantasy stories do. Monsea was enslaved by Leck for 35 years, and this had a huge impact on its people that they are still dealing with 8 years later. Leck was an incredibly cruel man who controlled people’s minds, and this kind of mad power is going to leave echoes even once he’s gone. Bitterblue undertakes a quest for knowledge about the past and the memories that are hiding from her due to the fog in her mind from Leck’s influence. The overarching themes of the power of knowledge, the convolution of memory, erasure of the past, and lies that grow from good intentions were all thoughtfully handled and well executed. Likewise, the characterization was excellent. The characters were well-rounded and likable, and had a wonderful camaraderie with each other. Bitterblue herself is exactly the type of character I love, one with great inner strength and intelligence. Her strong will and determination made her shine, especially as she took it upon herself to go out and discover the secrets her advisers were hiding from her. Bitterblue had a love for truth that made her pursue it no matter how painful. Yet, she’s not perfect and she actually tells a lot of lies herself when trying to get to the bottom of happenings in her kingdom. Her reasoning is understandable, though, and she has enough self-doubt and worries to be a realistic young queen who is just learning what it means to be both an adult and a ruler. While Bitterblue is the most prominent character, each and every character comes alive – Katsa with her openness and vibrance, Saf with his roguishness and secrets, Teddy with his love of truth and knowledge, and Death (pronounced “Deeth”) the dour librarian with a soft spot for cats. However, the plot is a weakness that kept the book from being truly excellent in spite of having many fantastic qualities. Much of the plot is dedicated to Bitterblue solving the puzzles of the past, and there is too much time spent on all the details of how she does this and the various questions she keeps pondering. In spite of my admiration for the thought that went into this story, it was missing the forward momentum that was needed. That’s not to say it isn’t resolved by the end, because it is and there are some very satisfying scenes for fans of the other two books. It just moved so slowly that it was quite often boring, and it was hard for me remain interested in what was happening a lot of the time. This particular feeling confused me because I am a reader who prefers character over plot. 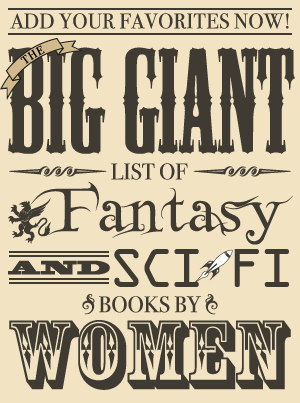 Yet when I think of all the books I loved for characters over plot, they are books where the characters and their personal journey were a big part of the plot. While Bitterblue does learn more about the world around her, have some new experiences, and lose some of her naivete over the course of this novel, she doesn’t make any discoveries that change the core of who she is. Her character is an important part of the story, but the book is still more about the story of the kingdom and Bitterblue’s discoveries and memories than a big personal transformation. Therefore, this book needs plot in addition to character to keep it engaging. The romantic subplot is not as memorable as either Katsa’s or Fire’s was. I had mixed feelings about it in this book, but unfortunately, I can’t really discuss it without spoilers for the end. Basically, I really liked that it ended in an unexpected way with Bitterblue and her love interest parting ways. I thought this made it seem like a more realistic story of the first love that doesn’t last instead of having the couple end up together. Yet at the same time the fact that they didn’t end up together made their relationship seem almost pointless to me, especially since I thought Bitterblue actually had more chemistry with someone else in the novel. Bitterblue’s romantic interest didn’t really seem to be that important to the story since a lot of what Bitterblue did learn came from his friend, and later he stole her crown in anger, which seemed both childish and to serve no real point other than to give Bitterblue something to do. Overall, Bitterblue was a well-written book with believable characters, relationships, and dialogue. It had some great themes about knowledge and memory that were very thoughtfully executed, and the entire book left me with the impression there was a lot of consideration put into it. Yet it didn’t have the same spark that Fire and Graceling did, and the slow-moving plot kept it from achieving its full potential. If only the plot were tighter, I think this could have been an excellent book. As it is, the plot was slow enough to be a big hindrance to my enjoyment of the novel, and this prevents me from recommending Bitterblue as strongly as I do Kristin Cashore’s other books (especially Fire! ).